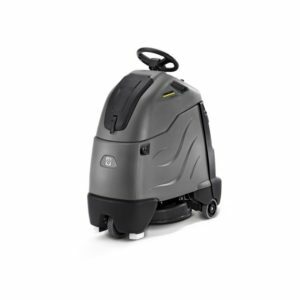 We stock an extensive range of mobile Karcher pressure washers that are suitable for the interior and exterior cleaning required in all types of commercial and industrial businesses. State of the art models can be hired for single-use occasions or purchased for long-term convenience. We also provide an efficient, high-quality service for Karcher repairs and maintenance. Our range includes powerful models with hot and cold operation that are supplied with hoses and specialised accessories. Hot water pressure washers are perfect for the quick and easy removal of long-standing grease and oil in areas such as commercial kitchens and are invaluable for cleaning car engines and bodywork. Cold pressure washers provide effective cleaning power against accumulated dirt and grime in many locations including buildings and stairways. Machines are of a robust yet lightweight construction and fitted with wheels for easy transportation and flexible manoeuvrability when in use. We can offer the latest designs with ecological features that safeguard the environment and save money with a twenty per cent reduction in fuel consumption when compared to previous standardised models. Our fast and reliable industrial floor cleaner hire service is a cost-effective alternative when an occasional powerful cleaning is required. The Karcher pressure washers we have in stock are manufactured to a superior standard from high-quality materials. They are designed to withstand high levels of wear and tear but the intensity of providing concentrated pressurised water jets can place stress on components such as motors or turbo fans. We offer an efficient maintenance service to ensure each Karcher pressure washer is functioning at optimum capacity. The longevity of a pressure washer is significantly increased by our regular maintenance service. It is a cost-effective method of keeping Karcher repairs to a minimum. We always carry a large range of genuine Karcher parts ensuring streamlined integration and efficient operation. Karcher pressure washers are well-known for providing service points that are easy to access. Combined with the skills of our experienced engineers, your Karcher pressure washer can be serviced and repaired without unnecessary interruption to your busy working schedule. When purchasing new equipment we offer an affordable maintenance service scheme. At CL Floorcare we offer all the services you need to keep your Karcher pressure washer in perfect working order at a cost-effective price.